Toronto (ON), Canada – Zevrix Solutions announces BatchOutput PPT 2.2.14, a compatibility update to its output automation solution for MicrosofToronto (ON), Canada – Zevrix Solutions announces BatchOutput PPT 2.2.14, a compatibility update to its output automation solution for Microsoft PowerPoint on macOS. The software provides advanced solutions for demanding enterprise and office publishing environments through automation of printing and professional PDF output. 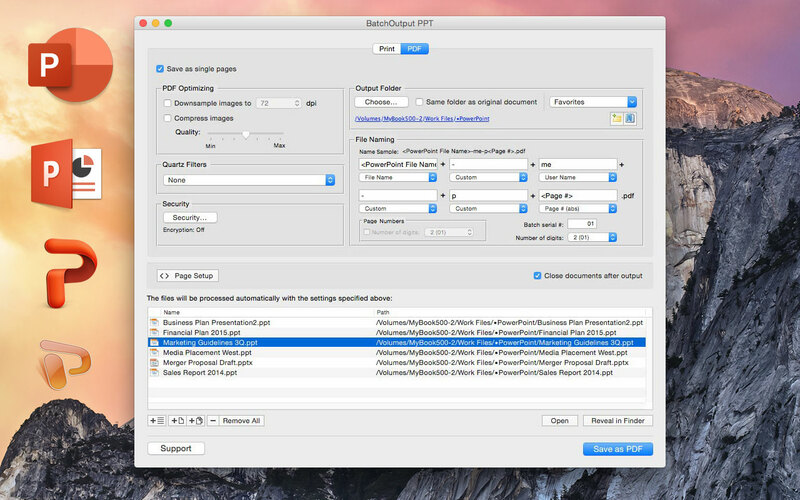 With BatchOutput PPT, users only need to select the desired files and adjust output settings letting the software will do the rest automatically. For example, users can save dozens of PowerPoint files as PDF with just a click of a button, or leave the app to print hundreds of files overnight and pick up the completed job next morning.